Are movies getting too loud? Summer blockbusters are about to hit theaters, but could those movies be harmful to your health — specifically, your hearing? Ed Yarborough used to love going to the theater, but when he went to see “The Hobbit” in 2012, Yarborough didn’t realize it would be the last film he would ever view in a theater. A hearing specialist diagnosed Yarborough with moderate hearing loss and tinnitus, a permanent ringing in the ears. Almost three years later, Yarborough said the ringing still hasn’t gone away. “For me it’s a very, very high-pitched ringing or whining sound that I experience in both ears,” Yarborough said. 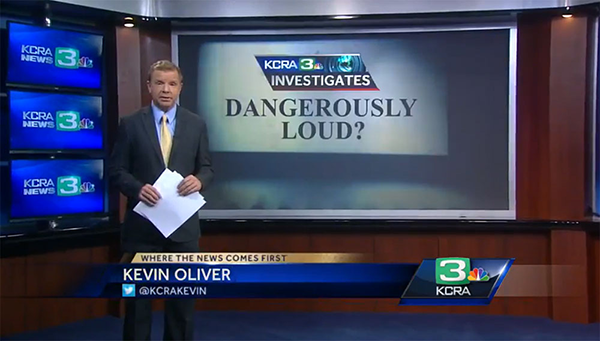 Dr. Julia Ahlquist Tanner, an audiologist in Sacramento, said hearing damage can occur from one extremely loud event or prolonged exposure. Tanner did not treat Yarborough. Tanner said most people don’t realize they are damaging their hearing until it’s too late. “They don’t understand the cumulative effects of sound and that it is damaging, and once you have some damage, it’s irreversible,” Tanner said.